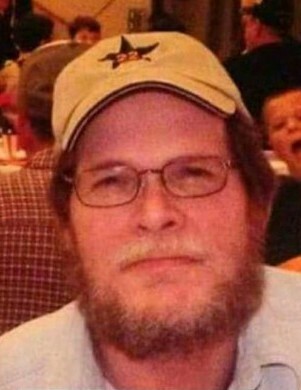 Michael Bradley Hart, 65, passed away peacefully April 11th, 2019 with his family by his side. He was preceded in death by his parents, Virginia and George Hart from Fairmont, WV. Michael is survived by his loving wife, Lori Porto-Hart and his 6 M's : Michala and her partner Mack, Megan, Marissa and her fiance Matthew, Madison, Michael Jr. And Mikenna. He was also the proud grandfather of Kelista, and her brand new sister Kasiana, whom he never had the pleasure of meeting. He is further survived by his in-laws Cheryl Swihart, Kim Swihart, Tracy Darnell, Donnie Swihart, and Sandi Hicks and many more extended family & friends from Fairmont, WV to Everglades City, FL. Michael was a graduate of Greenbrier Military School and a Vietnam Veteran. Most of Mike's career was spent as a Park Ranger for the state of FL at Fakahatchee Strand State Preserve. He was also an active volunteer fireman for Ochopee Fire Control District. Michael will be forever remembered for his caring, giving personality, his witty sense of humor, and his endless supply of "stories". His Funeral will be held at Dean C. Witmarsh Funeral Home,134 West Church Street, Fairchance, PA on Tuesday, April 16th. Viewing will be from 2pm-6pm with a service and Military Honors at 6:00 p.m. by Amvets Post 103. There will also be a remembrance dinner immediately following. In lieu of flowers the family is appreciatively asking for funeral donations to be made directly to Dean C Whitmarsh Funeral Home.